How Can A Google Virtual Tour Bring In New Customers To Your Restaurant? Over 10k businesses are adopting Indoor Street View each month… you don’t want to get left behind your competition! Say hello to your best marketing spend. A Google Virtual Tour is your only set-it-and-forget-it marketing piece, with no monthly, yearly, or other recurring fees. 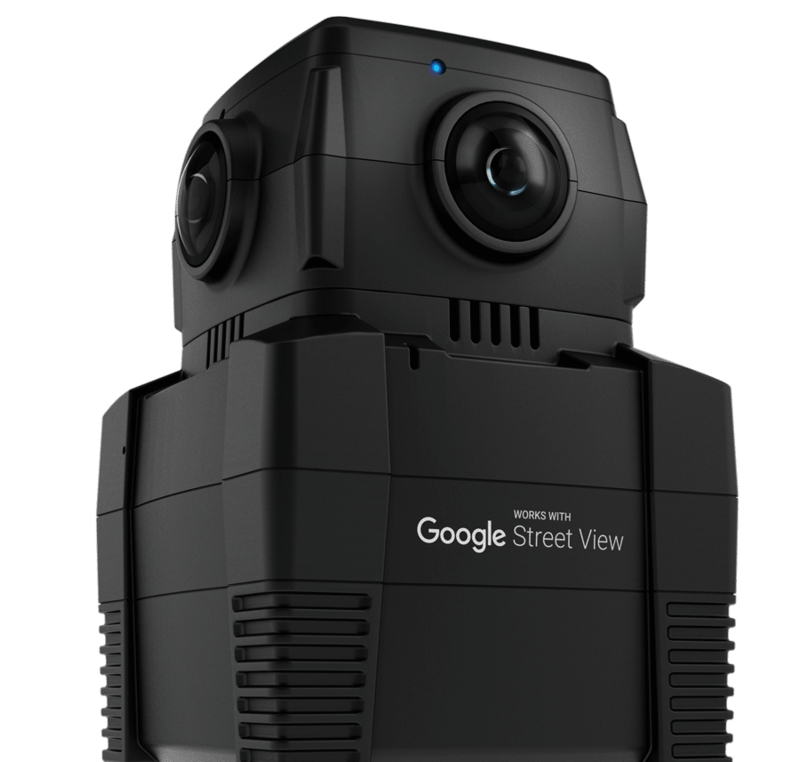 iris360 is the only automatic spherical camera approved by Google for use by their Trusted Photographers for use for their official ‘Street View Trusted’ program. With the iris360 I can capture and deliver a huge 8K resolution, HDR panoramic image in less than two minutes. The result is a stunning real life virtual tour of your business’ location. Facebook now supports 360 images! The future of imagery on facebook and it’s multiple apps is in 360 photography. Not only do we take the highest quality 360 panos, create a virtual tour and publish it to Google’s index but we also provide you with all the panos in a format you can use to post Facebook. Click on the image of the bar for an example. Find Out How A Google Virtual Tour Can Help You Bring In More Customers To Your Restuarant. How Can Google Indoor Street View Help My Restaurant? When potential customers search for your restaurant by name on Google Search and Google Maps, they will see your Business Google Virtual Tour directly on the search results page next to your map and photos (CLICK HERE for a live example). Your Business Virtual Tour will also be published on your Google+ Business page, Google Maps (CLICK HERE for a live example) and other Google properties and give your customers a better sense of the layout, decor and design of your restaurant’s interior. Can I Just Do The Indoor Street View Photo Shoot Myself? No. 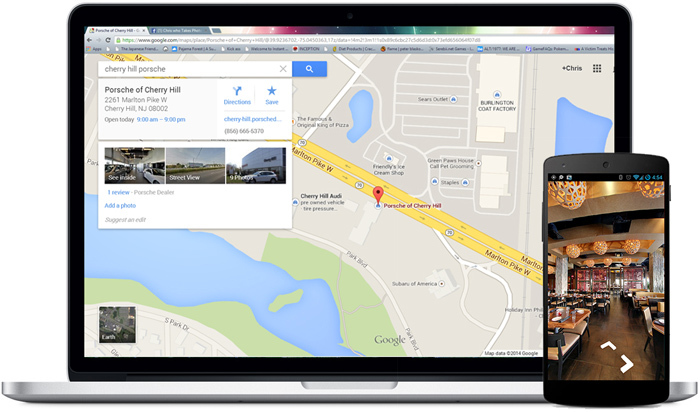 Only a Google Certified Agency or Photographer can secure your business a position on the Google Map. I am trained and certified by Google. How Much Does Google Indoor Street View Cost? There is a onetime fee for the Google Virtual Tour. The onetime fee also includes posting them to Google Maps, Google Business Pages and Google search. Once the tour is added to Google Maps, there are no other costs involved and no monthly fee. Rates start as low as $400 and vary depending on number of rooms to shoot or the size of the building. How Do I Schedule A Virtual Tour With You? Simply click the ‘Get A Free Consultation‘ Button and complete the information. I (Brian Torpie – a Google Trusted Photographer and Google Partner) will call you back shortly to get information from you. Then we can schedule a convenient time (it is best to shoot before or after hours or on a day that the business is closed) and I will come to your restaurant, further answer any questions and get the shoot done in a timely manner so you can continue with business. In most cases, a photo shoot will take about an hour and a half, but this varies depending on the size of your restaurant. Once shot, I can edit, stitch, and make the photos public within 5 business days. You will have complete ownership of the work. You’ll get all the originals and edits of the 360 panos and unlimited rights to distribute your tour and 360 panos any where on the web. What Do I Need To Do To Prepare For The Virtual Tour Shoot? Photo shoots will include the main customer-facing areas of your restaurant. We can work together to determine what areas of your restaurant you would like to highlight, or even exclude from the 360 panos. The goal is to show customers what they would expect to see if they visited your restaurant on a normal day. You will want to “stage” the areas to be photographed. Clean and arrange the area so that there are clear pathways, and remove any items that you do not want the public to see. Yes, I encourage you to share the walk-through experience of your restaurant with your customers. We’ll provide you with the code snippet which you or your webmaster can add to the website in order to display your Virtual Tour to website visitors. We also provide additional services in which we can embed it for you or even make a custom Virtual Tour website for a more tailored experience of your 360 panos. Apart from offering Google Virtual Tours (virtual tours which are published to Google, Google Maps, Google Street View maps and much more) we also provide a custom Virtual Tour Solution. With our exclusive third party software we are able to build a unique website experience tailored to your restuarant. A Google Virtual Tour of the business. Each 360 photo we add to the virtual tour will be professionally touched up to ensure the best quality image for your Virtual Tour. Apart from taking 360 photos I also take amazing shots of your location. I select the best shots and professionally touch them up with photo editing software. To add even more value, I will help you claim and update your Google Business Page to it’s full potential. There may be some features you are not using on your Google Business Page, I’ll help. We use a Portable Photo Studio with integrated LED lights for capturing high-quality images for dishes, drinks, appitizers and more. With our unique mobile approach to Food Photo Shoots we are not only able to deliver high quality photos but at a lower costs. If your restaurant has high ceilings and a wide open space we may be able to shoot indoor drone photos and videos. For exterior photos and videos would depend on the location of the restaurant. 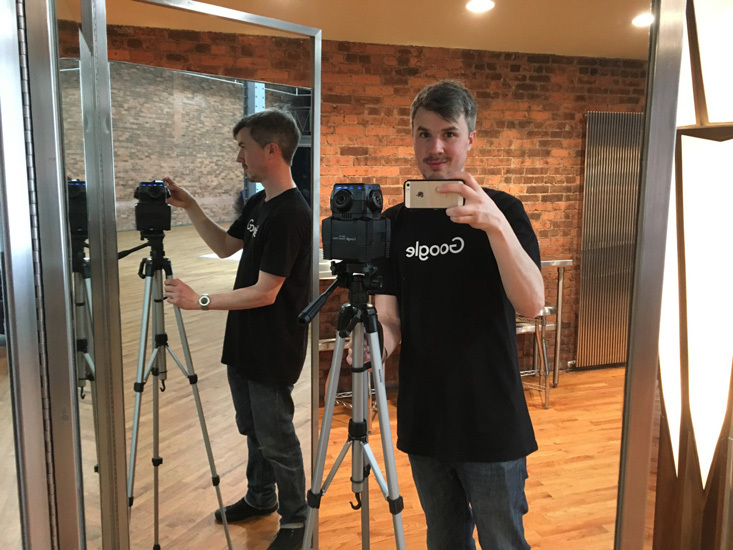 Use your HD 360 panos to their full potential and build a custom virtual tour experience with sound, videos, audio, links to menus, event info and much more. For an example CLICK HERE. For more info scroll down. Auto Tour: Let the user kick back and guide them for a custom experience. Hot Spots: Serve media content and infomation from a simple click and mouse over on any area, image, icon or shape. Immersive Audio: Mimic the direction of sound in each pano so the user feeld like they are there! Multimedia: Embed videos and photos through out areas of the virtual tour for a more richer experience of content. Floor Plans: Add floor plans so users can jump from pano to pano with ease. NOTE: This screenshot video was taken on a network with only 3mb of download speed (3G in other words). This is a very performant virtual tour. Click here for an example. All someone would need to experience your Custom Virtual Tour Website would be to have a simple $15 dollar VR Headset. From there, the user could be complelely immersed in your restaurant. Moving from pano to pano simply by looking at the area. We consider our experience of a Virtual Tour Website to be the standard for VR experiences. All of this is included in your Custom Virtual Tour Website. I’m a Google Trusted Photographer and a Google Partner. Google Partners are online marketing companies, trusted by Google, who have excelled with all of Google’s products.